Usal is a simple Maharashtrian recipe served as side dish. 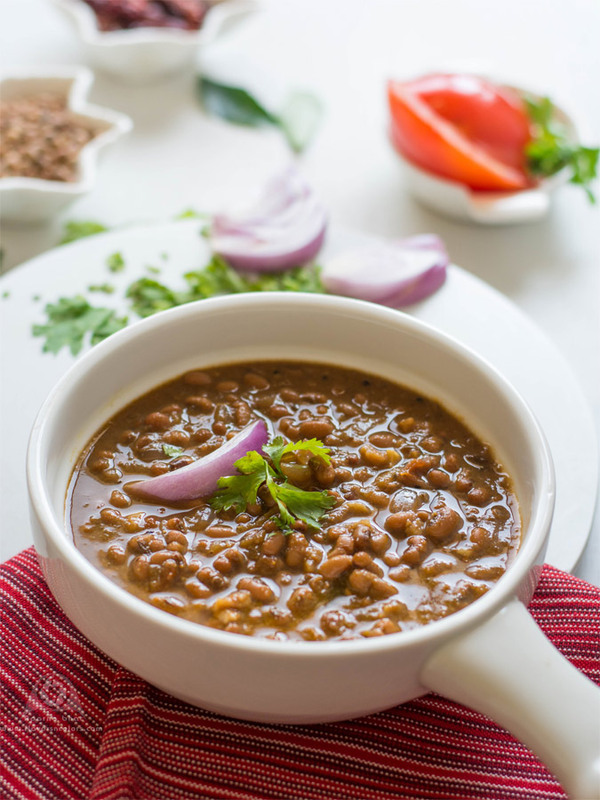 Matkichi (moth beans) usal is my favourite but when moth beans goes out of stock from local stores here, I substitute it with other ingredients such as green gram, dried white peas, val (field beans), etc. 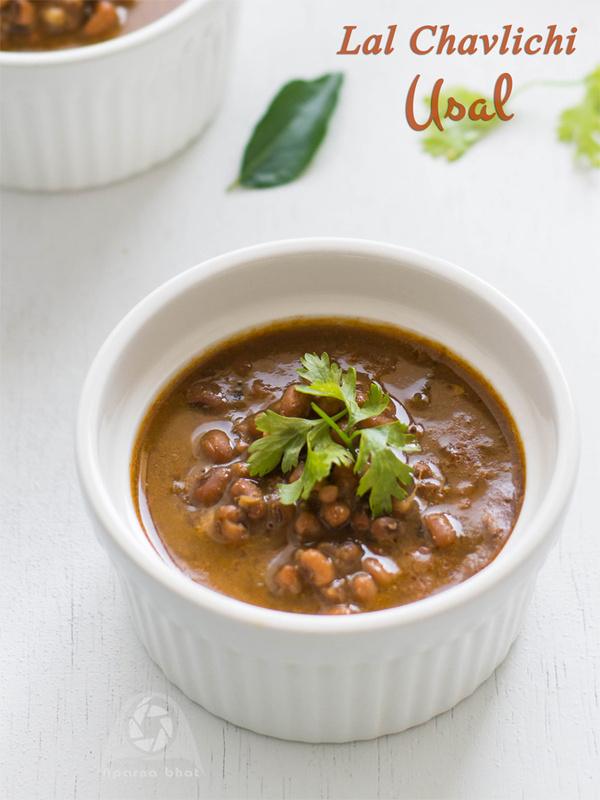 So here is the recipe of usal made from Lal chavli/adzuki beans in coconut based gravy. Wash and soak lal chavli overnight. Next day put in cooker vessel, add some salt and pressure cook it for 2 whistles. In a pan, roast chopped onion and grated coconut until brown. Keep them aside. Roast cinnamon, cloves and red chillies. Allow these ingredients to cool down. Grind roasted ingredients to a fine paste. Keep this paste aside. Heat some oil in a pan. Add mustard seeds and as they pop add curry leaves. minced garlic ginger and stir it for few seconds. Next add finely chopped onions and saute it until it becomes light pink. Add turmeric powder, goda masala and mix everything well. Add ground masala paste, chopped tomatoes and fry till the tomatoes gets cooked. Now add cooked beans along with water as required. Add aamsul and jaggery and mix everything well. Cover with lid and continue to cook on sim flame for few minutes. Garnish with coriander leaves and serve it hot!